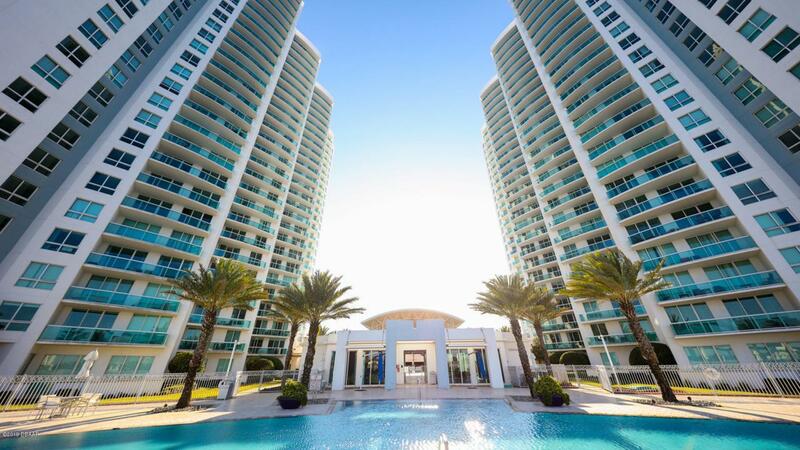 Gorgeous World Class Waterfront 2 bedrooms/2 bathrooms with huge den along the Intracoastal. Two 26-Story Towers, all have spacious balcony with tinted glass rails. Kitchen features imported Italian cabinetry, granite countertops, undermount sinks, & GE-Stainless appliances. 9-foot ceilings, large walk-in closets, oversized luxury Master Baths with jetted tub, large glass enclosed shower, marble flooring & countertops. Impact Resistant Windows & Doors. Gated entrance with 24-7 Security & friendly concierge service. Grounds include plenty of green space, with a riverfront walkway and 32 slip Marina. Amenities include 10,000 Sq. Foot Clubhouse with fitness center. Furniture available for a great price! Listing courtesy of Natacha Wenger of Miller Eaton Inc.